There are moments when working for Christ with family are overwhelmingly full of joy! 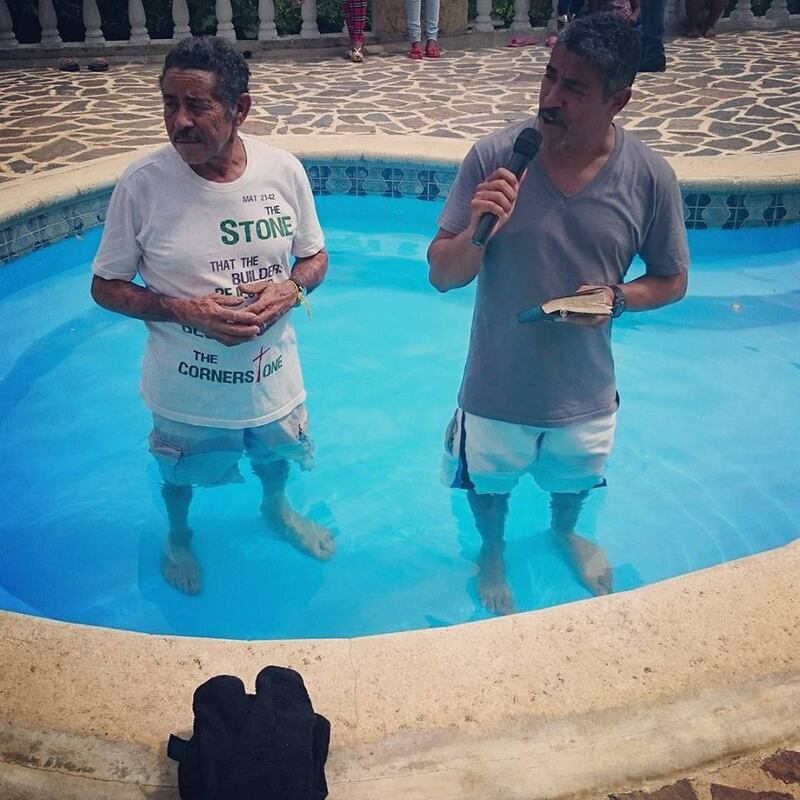 Father and Son, together in the baptism pool. 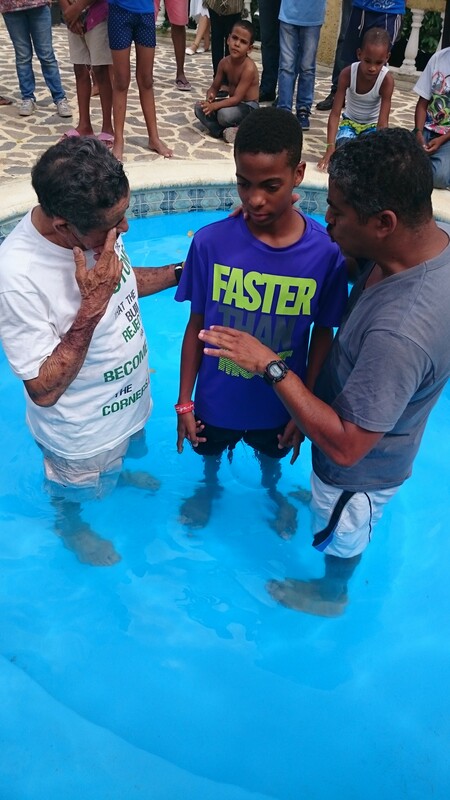 Father and son together, immersing those who have chosen to live for our Savior. It was truly a moment of beauty! I truly believe that family is of extreme importance. God placed us within this unit to give Him glory and to demonstrate His unconditional love to this world. It takes a God kind of love to keep believing in the same people who’ve let you down over and over again. Only God’s type of love can keep a unit of people together even after facing difficulty after difficulty together. He uses those hard places we face together to grow us as one. He uses the weakness of our behaviors and attitudes to make us strong if we make Him our focus. When He is our reason for sticking it out, He comes through in amazing ways. This picture of father and son proves that God aligns us. Our precious Jojo was baptized by his grandpa and his dad last week! It was such a special moment. Three generations in the pool together. The procreation of the older down to the younger, together proclaiming Christ! Grandma and mom were not far behind! 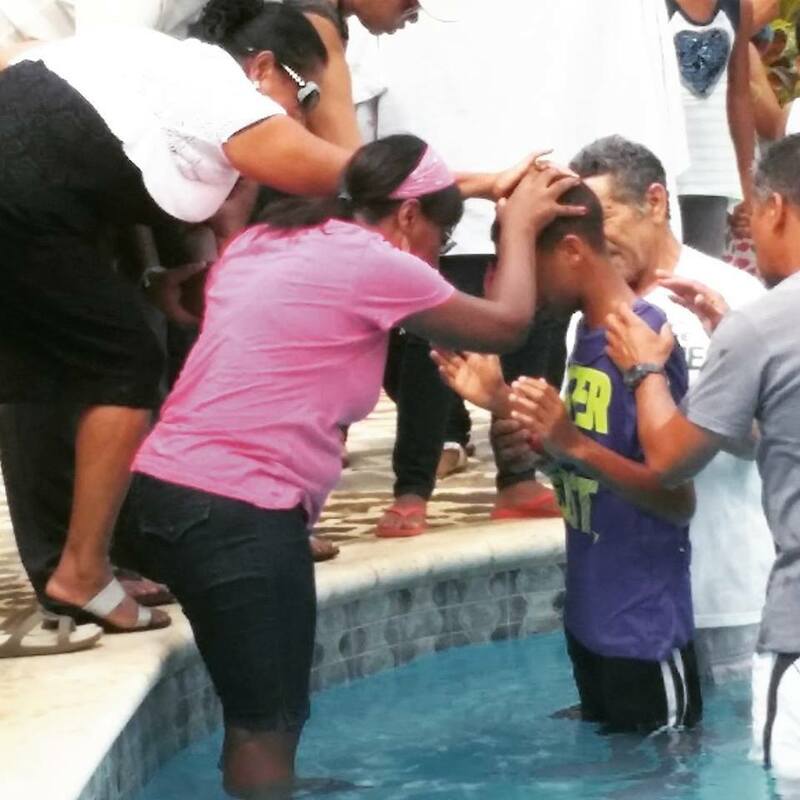 Jojo couldn’t get out of the pool until we were done praying. We know how easy it can be to forget what was learned while growing up, so we wanted him sealed! Join us in praying for Jojo. At 14 years old, he still has many years of testing to face. Pray that he will overcome.